Rafal Real Estate Development will develop the 230-unit property, located near the King Abdullah Financial District. 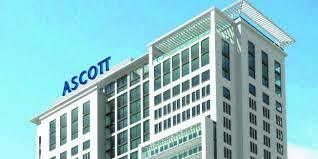 Chong Kee Hiong, CEO, Ascott, said: “Saudi Arabia offers strong opportunities for serviced residences. It is the biggest economy in the Middle East and its GDP is forecast to grow by about five per cent per annum over the next few years. Ascott Olaya Riyadh offers a mix of apartments from studio to two-bedroom, each coming with a fully-equipped kitchen, separate work and sleeping areas, meeting rooms, a business centre and a health club comprising a gym, steam room and swimming pool. The latest signing increases Ascott’s portfolio in the GCC to almost 1,300 serviced apartment units across seven properties located in Bahrain, Oman, Qatar, Saudi Arabia and the United Arab Emirates.